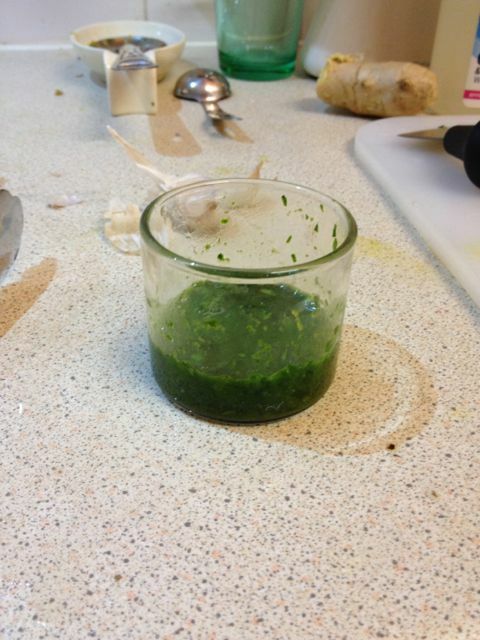 Sort of like a pesto, but with coriander and much spicier… I think a Bengali home-food specialty (sort of like casalinga food in Sicily/Italy), not something found in restaurants so much. 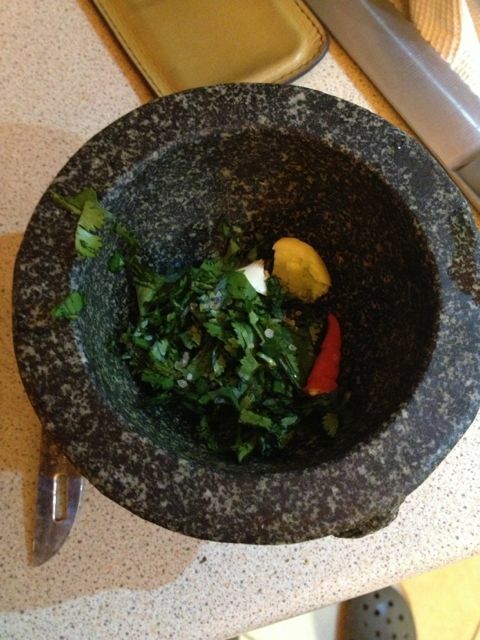 Very simple – take a bunch of coriander leaves, ideally fresh and healthy green-looking (ie not what I get in the market at the moment) and trimmed of any stalk or root, ¼ clove of garlic, 3-4 green chilis chopped, mash the whole lot in a mortar and pestle, or a food processor. Add juice of ¼ lime, salt and sugar to taste, and a little mustard oil. Note: mustard oil theoretically is found at most Asian/Indian stores, however, they tend to be in bottles that say “External Use Only”. Please check with your shop before putting in food, these may be too strong/toxic. Mix the lot, maybe add a little water if it’s too dry. Serve with boiled rice. 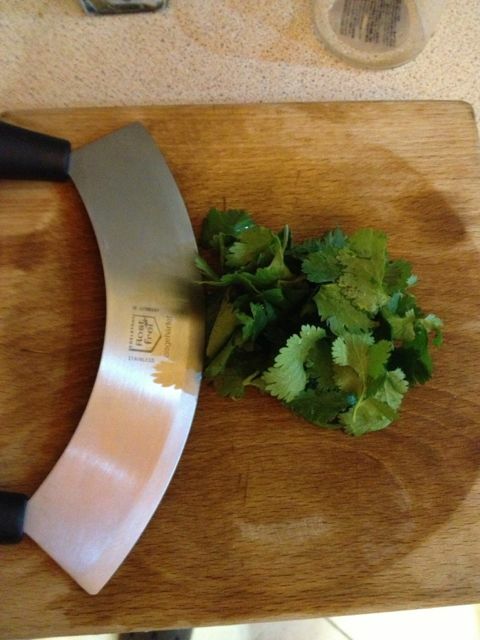 Can be used to jazz up a dahl, chicken curry, etc. but is absolutely glorious simply with rice, if you have fresh ingredients.